ACTION HEALTH has been serving the community since 1977. 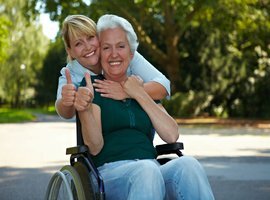 We offer Skilled Home Health Care provided by licensed medical professionals and Non-Medical Personal Health Care for your loved ones. We offer on-call assistance 24 hours a day 7 days a week. We are state licensed and certified by Medicare and MediCal. Let our caring and professional staff help you NOW. Action’s Home Health Services are designed to help patients achieve their highest level of function in the comfort of their own homes. Call us today to determine your loved one’s short or long term needs. Get all your daily needs met with Action Health. From light housekeeping to meal preparation, companionship to grocery shopping and much more. Contact us today to so we can start helping you. Catastrophic Injury Cases, Surgical Procedure Aftercare for assistance with activities of daily living such as: grooming, running errands, medication reminders, cooking, cleaning, laundry, routine linen changing, companionship, etc. and Rehab Services to assist with exercise plans. Don't trust the care of your loved one to just anyone. Whether it is for companionship, light housekeeping, errands, or someone to listen, Action Health has the loving caretakers that your family can rely on. Our caring professionals are your extended family. Dedicated to home health care serving the community and their families since 1977. We have grown by expanding our home care services, while maintaining our highly individualized care and upholding our core values of integrity, compassion and professionalism. When Caring Makes a Difference...You Have a Choice! We have been serving Los Angeles and Orange County for over 40 Years! 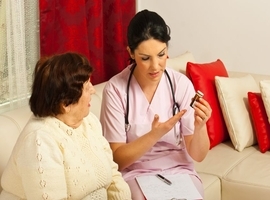 Action Health Care has been dedicated to home health care since 1977. Through the years we have grown by expanding our home care services, while maintaining our highly individualized care and upholding our core values of integrity, compassion and professionalism. We've provided caregiving services for thousands of families and we can help yours too. Of special value to us are our close relationships with hospitals, physicians, case managers, community agencies and outside support groups. These professionals, together with our staff, have contributed to our distinct standards of quality and dedication that are important to your family when making such a decision. Your peace of mind is our utmost concern. Our hiring and screening standards are stringent. They include applicant live scan fingerprint, competency skills test and required current health records. Additionally, our support staff provides a thorough orientation session. Rest assured you can count on us.